If you’re supplying drinks for your next Party our Frozen Cocktail Machines will make approximately 200 drinks, Alcoholic or non-alcoholic. 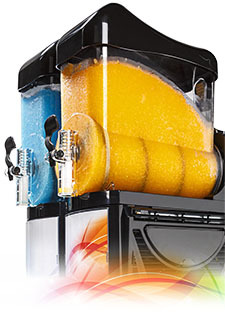 Whether you are having a backyard party or a corporate event, hiring one of our slush and daiquiri frozen cocktail machines is the way to go. Easy to use, very quick and reliable, great for daiquiris at adults parties or slush or slurpies at kids parties. Would you like to book or be given a Quote ? Servicing Kawana, Maleny, Noosa Mooloolaba, Buderim, Caloundra and greater Sunshine Coast. Wedding DJ & MC Photobooth Lighting Design.